Sydney has a new bar in its central business district that instantaneously makes it on the must-visit list both for locals as well as visitors: The triumvirate Dre Walters (ex-Lobo Plantation and Kittyhawk), Gabrielle Walters and Dan Noble (Ramblin' Rascal Tavern) have joined forces to open the Clarence Street bar with an open-air rooftop. After hosting Wild Turkey’s recent Spirit of the Wild pop-up event and infusing it with the character of Old Mate’s bar team prior to its official launch on 23 August, Old Mate’s Place is the new haunt for day time and evening drinking with a speakeasy, set out as an old, abandoned library overgrown by plants on the downstairs level with exposed wooden beams and a staircase spiralling up to the rooftop bar, which has a bit of a treehouse theme going, i.e. a natural extension of what is going on a level below. 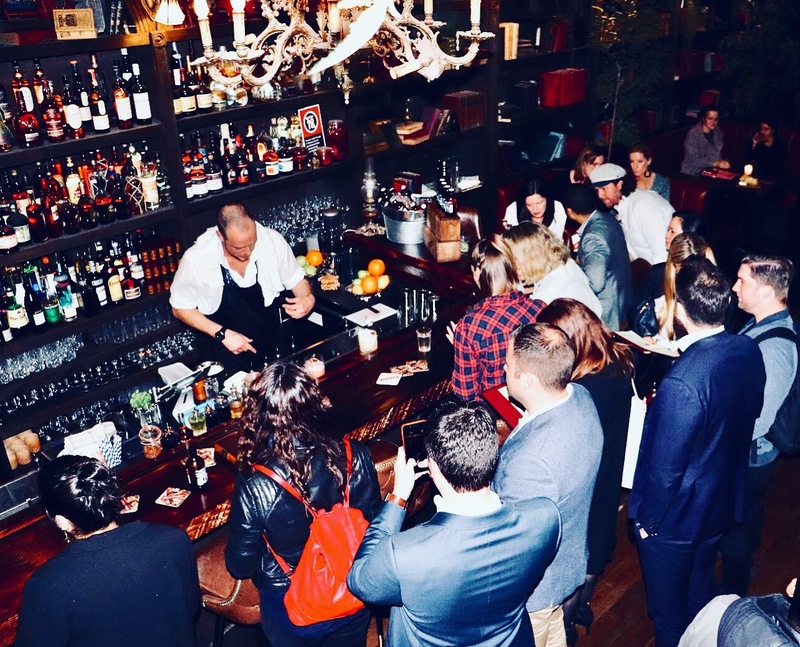 The focus of Old Mate’s Place is firmly on serving creative quality cocktails and a food offering that will aim to be a little more comprehensive than most bar food options, given that founding fathers Walters and Noble have both spent time in kitchens. 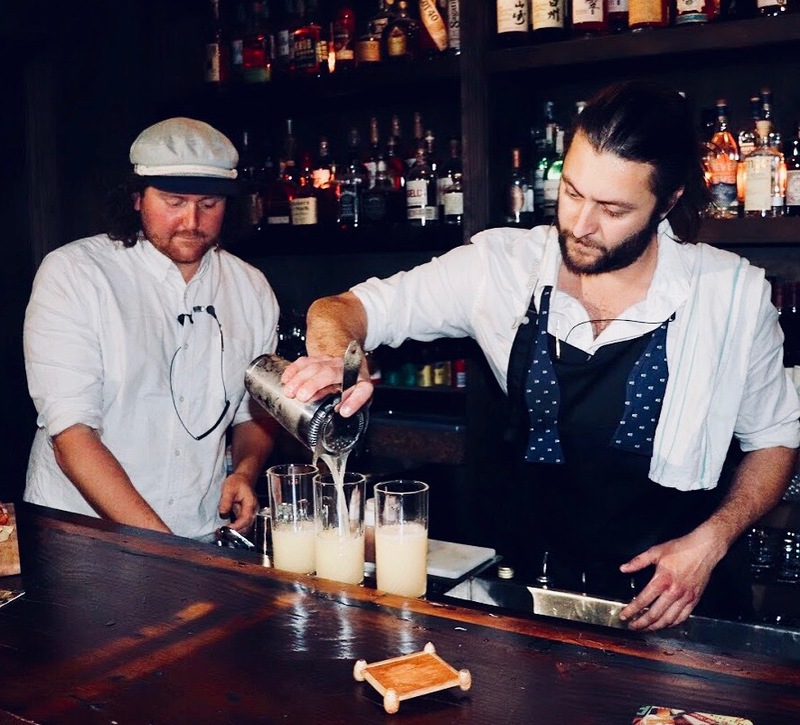 It is not rocket science that a charismatic and friendly bartender makes for happy customers, a feat that Old Mate’s Place easily accomplishes with its community spirit and its crew’s passion and honest love for what they are doing. As a result, the atmosphere of this new bar is not only derived from its fitout, location, theme and physical position, but from the people driving it and the attention to detail, great music and good vibes. If quality is king, consistency is queen and consistency is part of Old Mate’s Place in every aspect. No matter if it means education their punters through small blurbs in its drinks menu, treating its customers like they would treat guests at their home or matching the price of their liquid concoctions to the quality of products, i.e. value for money.